Physitrack® allows you to add your own pre-set exercise programs to the program tab. This makes assigning exercise programs to your patients even quicker. 1. By building a program then saving it to the Program library. 2. By building a program directly in the Program tab. Go to Library > Exercises. Select the exercises you would like for your program. When all exercises are selected, click the exercise basket button in the top right of the screen. This opens the program designer. Edit the exercise parameters as you see fit (sets, reps etc). Click the "Copy to library" button in the top right to copy the program to your program library. This button looks like two pieces of paper. 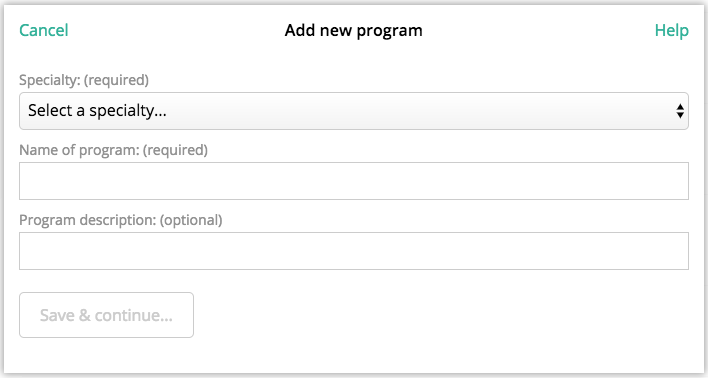 This allows you to name the program, and select the search filters your program will be saved under. Remember to finally press "Copy to library". Go to Library > Programs. Select the add exercise "+" symbol to the top right corner of the page. 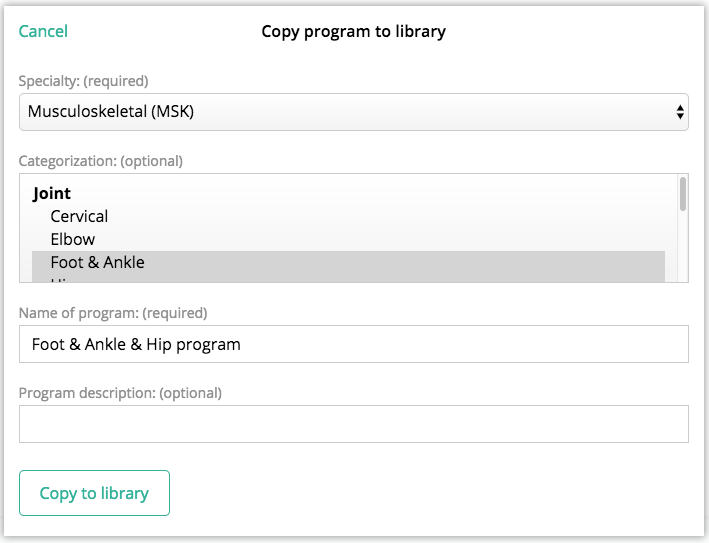 Select the relevant specialty and title for your program, then click "Save & continue". Chose the exercises for your program, remembering to set the exercise parameters. Finally click "Done" when complete. This program will now appear in your Programs tab. How do I add my own exercises to Physitrack? How can I copy a program to my program library?